Quote of the Month: I don’t know why I made that move. 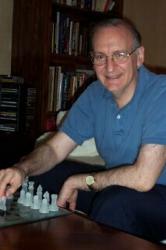 One of the main jobs of a chess instructor is to help the student find better moves. But that includes some big assumptions, like the student wants to take the time to find a better move, or that he has some vague idea how. However, another big aspect of instruction is diagnosis, and the main things an instructor diagnoses is chess mistakes, particularly bad moves.